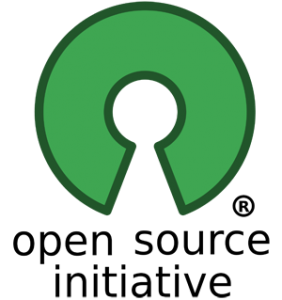 Liberate your organization from proprietary platforms and join the open source initiative! We help customers free themselves from vendors with closed or outdated systems requiring costly maintenance fees, perpetual license agreements, and lack of content control. We let you choose from three of the world’s leading open source Content Management System (CMS) platforms powering more sites around the world than any other. Contact us today and let us help you choose a platform that’s right for you. Tomorrow, you’ll be one step closer to having a beautiful, powerful, and reliable website and CMS that everyone will love using for years to come. WordPress is the world’s most popular website software and CMS that you can use to create beautiful and powerful websites or blogs. WordPress is used by the U.S. Library of Congress (http://www.loc.gov/), the U.S. Chief Information Officer (https://cio.gov/) and NASA (http://open.nasa.gov/). The powerful core software framework is built and supported by hundreds of community volunteers around the globe. When you need lots of website functions there are thousands of plugins available to transform your site into almost anything you can imagine. Over 60 million people and organizations have chosen WordPress to power the place on the world wide web that they call “home.” Joomla is an award-winning content management system which enables you to build beautiful Web sites and powerful online applications. Its ease-of-use and extensibility have made Joomla a popular software framework choice for a variety of customers. Joomla is designed to be easy to install and configure even for non-technical administrators. Our Web hosting services offer single-click installations to get your new site up and running quickly. Joomla is supported by a growing and talented community of users and developers around the world. Drupal is an open source content management platform powering millions of websites and applications. Drupal is used by the White House (https://www.whitehouse.gov/), The Weather Channel (http://www.weather.com/) and the State of Georgia (http://georgia.gov/). It’s built, used, and supported by an active and diverse community of software developers around the world. Use Drupal to build everything from personal blogs to enterprise websites and applications. Thousands of add-on modules and themes let you build any type of site you can imagine. Drupal offers pre-configured themes for feature-rich web sites to give you a head start in building your online community, media portal, or online store.